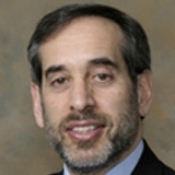 Dr. Bruce Wenig received his BA degree from Yeshiva University, New York and his M.D. degree from Sackler School of Medicine/New York State Division at the Tel Aviv University, Tel Aviv, Israel. He took his residency training in Anatomic and Clinical Pathology in the Department of Pathology, Mount Sinai Medical Center, New York and a fellowship in Anatomic Pathology in the Department of Pathology and Laboratory Medicine, Cedars-Sinai Medical Center, Los Angeles, CA and in otolaryngic pathology in the Department of Otolaryngic Pathology, Armed Forces Institute of Pathology, Washington, DC Dr. Wenig is the Chairman of the Department of Pathology and Laboratory Medicine, Continuum Health Partners of New York (Beth Israel Medical Center, St. LukeÃ¢â‚¬â„¢s Ã¢â‚¬â€œ Roosevelt Hospitals), New York, NY. and Clinical Professor of Pathology, Albert Einstein College of Medicine. He serves on the editorial boards of six major pathology journals and the educational committees of a number of pathology societies. He has published widely on otolaryngic pathology subjects and is recognized internationally as an expert in this field. He is the author of Atlas of Head and Neck Pathology and Atlas of Endocrine Pathology.